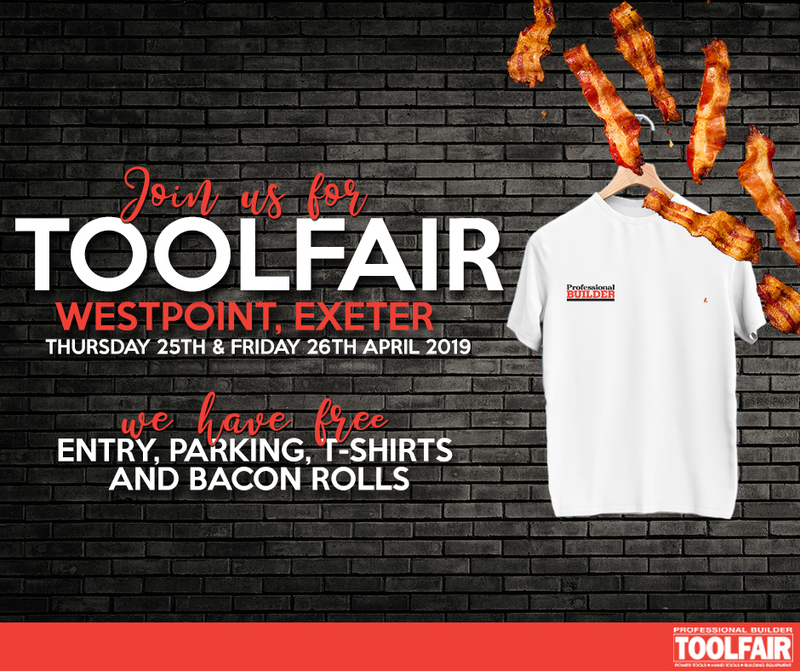 Toolfair will be in Exeter on 25th and 26th April. As usual, every visitor will get a free Professional Builder T-shirt, as well as free parking, free entry and a free bacon roll. The Milwaukee Superdraw, with two chances to win on each day of the show. There are 100 prizes to be won across the two days, including M18 tools, M12 tools, game-changing hand tools and best in class accessories. A hall packed with brand new tools and kit for the building trades, including new launches such as the battery threading tool from REMs, the DeWalt Flexvolt range, the multi volt battery platform from HiKOKI, the PipeLagger Pro, the growing range of tools from DART and loads more. Lots of exclusive show discounts including 40 per cent off any purchase of core products from Van Guard and great deals from Anglia Tool Centre. Toolfair runs alongside Elex for the electrical trades, which includes a free seminar programme covering the latest legislation updates. Toolfair is at six venues in 2019: London, Manchester, Exeter, Harrogate, Coventry and Sandown Park. Register for free Toolfair tickets today.